Session includes up to 1hr of shoot time.You receive the digital images (minimum of 25) via an online gallery. You also receive printing rights, and can print wherever you want! I require a $75 retainer to hold your session date, and the balance is due at your maternity session. 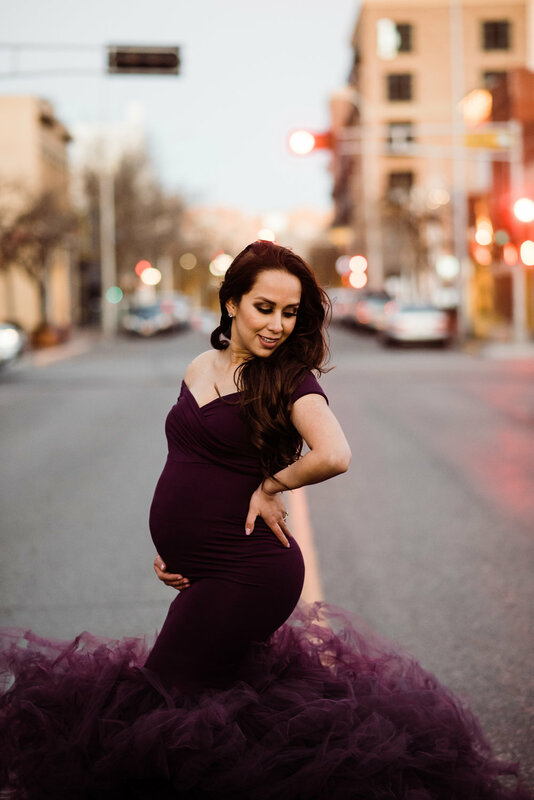 All the dresses seen on my website are mine, and are available for my clients to use for their maternity session. View more here. Clients are allowed to choose up to 3 dresses for their session. When you book your maternity session with me you receive $50 off your newborn session. A $75 non-refundable retainer is due at time of booking, and the balance is due at your session. **Prices are subject to change at anytime. Once you schedule and pay your retainer your price is locked in. Children and spouses are welcome to be in the session at no additional cost.